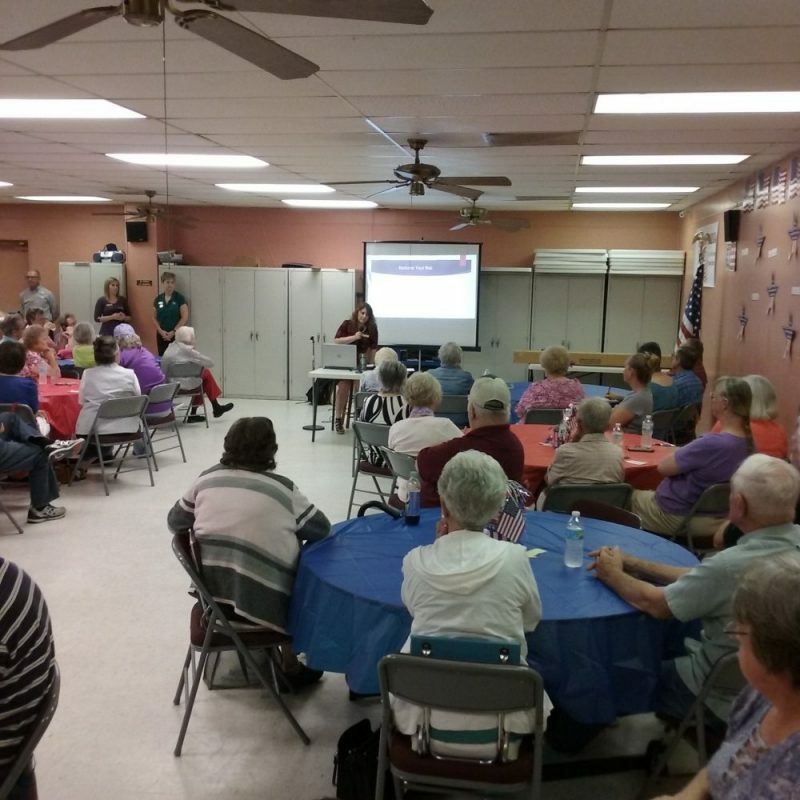 A large crowd gathered at the Sulphur Springs Senior Citizen’s Center on Wednesday, June 28th to learn how to protect themselves from Identity Theft. Employees from Alliance Bank gave the Program and were on hand to answer a lot of questions that were brought up by those in attendance. Charlotte Crump, CRA officer at Alliance Bank presented the program. 2) Check all of your Medical and Charge statements to make sure that someone has not stolen your identity. 3) When giving your Social Security Number only use the last 4 numbers. 4) Change you Passwords OFTEN and use hard ones so you that your information is harder to get. Use Upper and Lower Case letters, numbers and Symbols in all of your passwords. The longer, the better! 5) Don’t give out any information over the phone when someone calls asking for it. 6) If you don’t recognize the phone number calling DON’T answer the phone. They can leave a message for you if it is important and you can call them back. Scammers are getting really sneaky on how they can get your to give them your information. 8) Don’t answer questions from a telephone recording.. Just hang up. 9) Keep your financial records, Social Security Cards and Medicare Cards in a safe place. A lot of Identity Theft is from family and friends. 11) Take you mail out of the mail box as soon as possible. 12) Do not put personal information on public computers, like the library or coffee shops. Identity theft can make it hard for you to get credit, a job, a place to live or utilities. So, guard your personal information carefully to avoid risk of being hurt by identity theft.